mPulse and Patient Engagement Systems poised to dramatically change the way care teams and payers engage with their patients and members. mPulse, an industry leading Mobile Experience Management company formed to focus on the specific digital communications needs of the health and wellness marketplace, has announced a strategic partnership with Patient Engagement Systems (PES), a healthcare technology company which focuses on improving the identification and management of patients with chronic diseases. 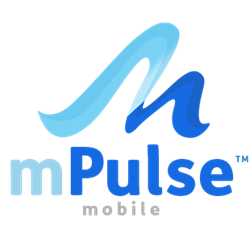 mPulse enhances the communications created by these tools and desired by today's mobile generation, bringing mobile messaging expertise and a proven track record of influencing consumer behavior. mPulse’s cloud-based HIPAA compliant platform, enables healthcare organizations to reach their consumers in the way they want to be reached, securely, and on-the-go. The combination of mPulse’s state of the art messaging engine, (which incorporates context, behavior and engagement data to create more relevant communications), with Patient Engagement Systems proven technology for identifying and managing patients with chronic conditions, will dramatically change the way care teams and payers engage with their patients and members. "There has never been a more opportune time to improve communications with providers and patients," says Stanley M. Goldstein, Patient Engagement Systems President and CEO. "mPulse Mobile's partnership with Patient Engagement Systems will undoubtedly expedite the advancement of communications capabilities across the healthcare spectrum, bringing these resources even closer to their full potential." Patient Engagement Systems® (PES) is a nationally recognized healthcare services company dedicated to supporting its customers’ goal of helping people with chronic diseases, specifically diabetes and chronic kidney disease, improve their health, and reduce costs. PES provides medical groups, IPAs, health plans, health systems and government agencies with a suite of automated patient engagement tools, timely clinical decision support and the analytics needed to better identify, manage and monitor these high cost patients. PES’s signature platforms include the Diabetes Patient Engagement System℠, a chronic care management and patient engagement technology developed and tested in a five-year National Institutes of Health funded study that verified care process improvements and cost reductions, the Chronic Kidney Disease Patient Engagement System℠ and the ESRD Prevention Program℠. PES is an IBM Global Entrepreneurial Partner, and is a 2011 URAC Bronze Awardee for Best Practice in Health Care Consumer Empowerment and Protection.